I’ve been watching my local hummingbird community since I arrived in Idaho in April. So far I’ve identified black chinned (Archilochus alexandri) and rufous hummingbirds(Selasphorus rufus). I was lucky to capture three types of feeding behavior shown in the attached film. 1. In addition to flower nectar, hummingbirds eat lots of tiny bugs. They are usually ambush predators, waiting on their favorite perch for insects of the right size to fly by. The clip shows a female rufous hummingbird detecting and attacking a moth overhead. The clip is shown in normal speed and then slowed down. 2. Another approach to gathering protein is to be fortunate enough to land next to a tasty morsel as seen in the second clip, also shown twice. It’s another female rufous. 3. Finally, a black chinned female demonstrates the familiar method of sipping nectar. A hummingbird visits about 2000 blossoms a day to get enough glucose. One of my favourite spiders, the Whip Spider (Ariames colubrinus). These are predators on other spiders and I think their extraordinary shape allows for camouflage against their dangerous prey. Next are three small predatory flies. Coenosia sp. 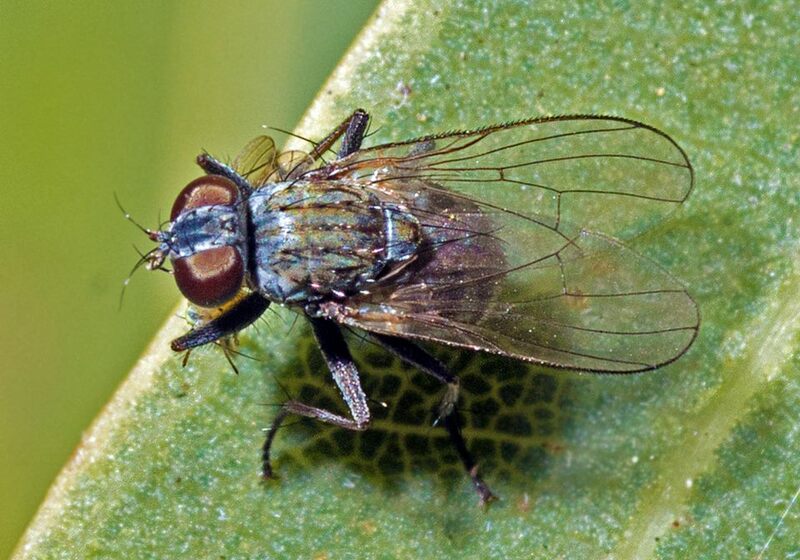 Sometimes known as Killer Flies, these are small flies in the House Fly family Muscidae. I find these amazing because they don’t seem to have any physical specialisation for their predatory lifestyle. 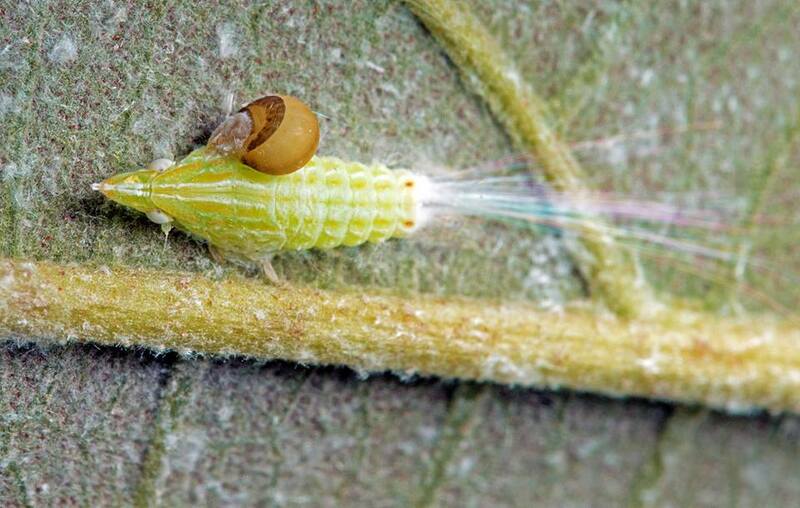 The one in the photo has a minute little fly in its grasp that you can just make out. Hybos sp. 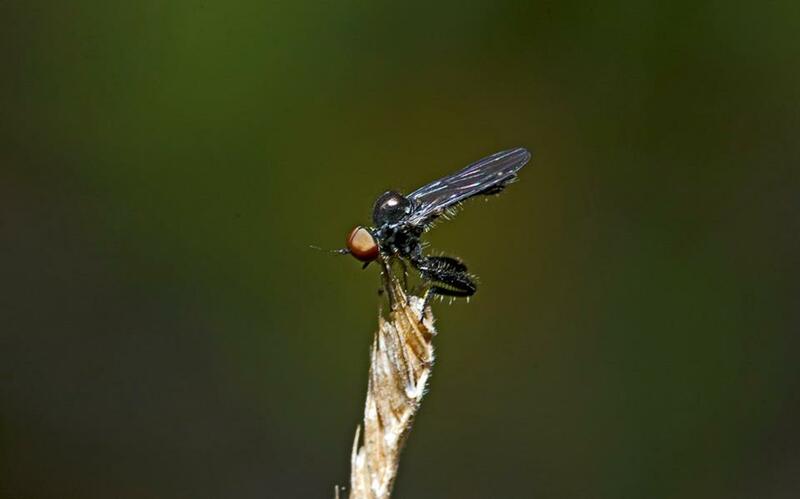 is another very small fly that catches prey on the wing. It’s in the Dance Fly family Hybotinae. 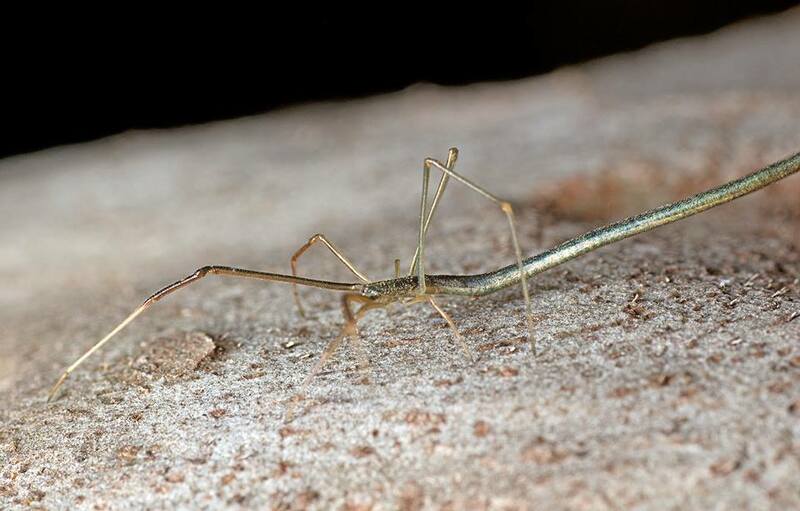 These show some pretty good adaptation for its predatory lifestyle with large rear legs that superficially resemble the grasping arms of mantids. Octhera sp. These are predators on mosquito larvae as maggots and flying mosquitos as adults. 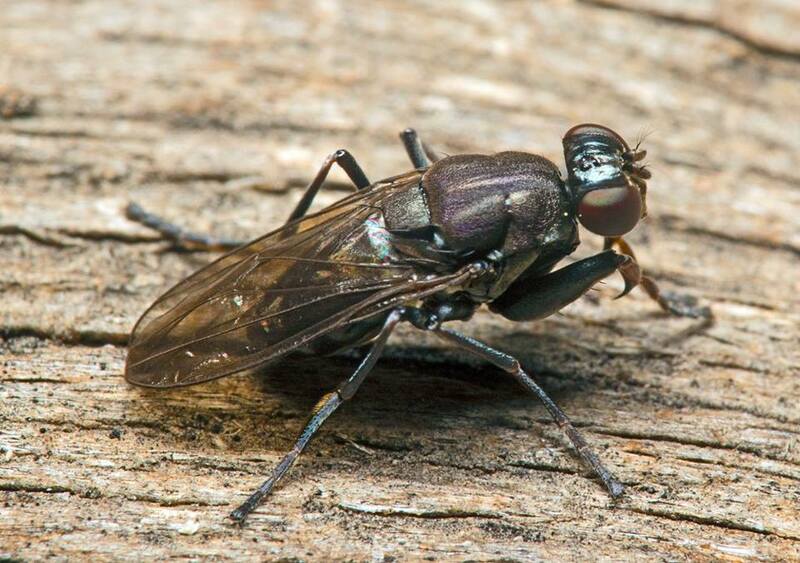 They’re a predatory branch of the Shore Fly family Ephydridae. I found this one among the mangroves. This entry was written by whyevolutionistrue and posted on September 3, 2018 at 7:30 am and filed under arthropods, birds, insects, video. Bookmark the permalink. Follow any comments here with the RSS feed for this post. Both comments and trackbacks are currently closed. We know he’s James Pond but which actor is playing him though. 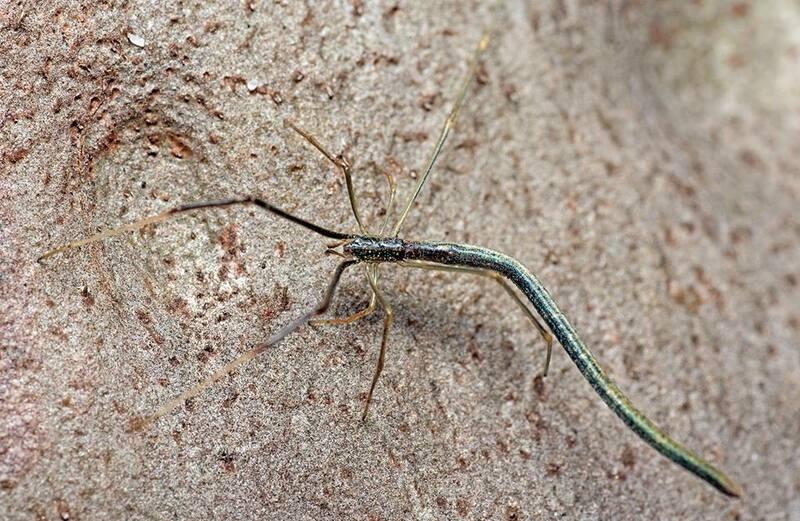 Whip spiders look like they’re trying to become stuck insects. Fascinating. The flies remind me how little I know or notice buzzing through my garden and field or right past my own nose. Wonderful photos, thanks for sharing and reminding me to stop and see what’s buzzing by me. Here’s a link to a fascinating exploration of hummingbirds. PBS Nature. Great stuff! I did not know about whip spiders. Very weird, as are the other critters shown here. You know, I had no idea hummers ate insects; I thought they were strict nectarivores. Well, that’s why I love WEIT…learning new facts all the time. Great arthropod shots…especially liked the whip spider. I don’t think I’ve ever seen such bright colors on a mallard drake. 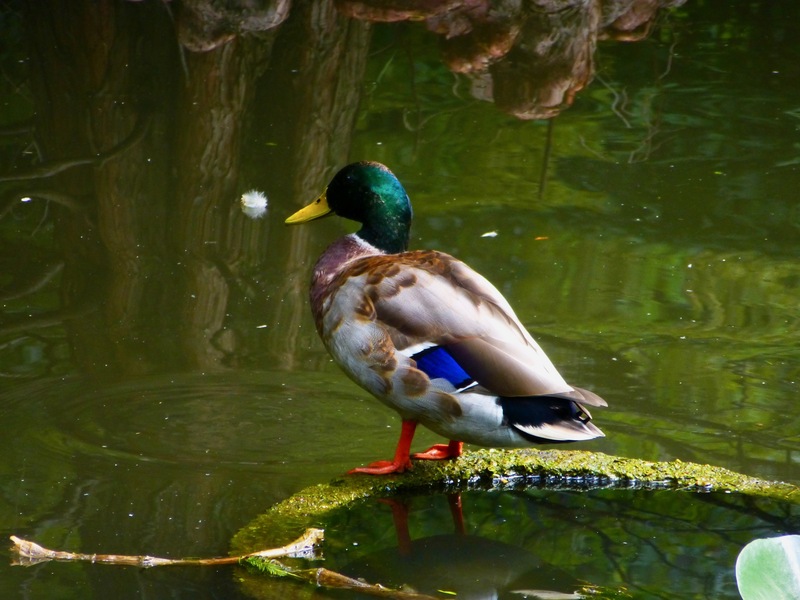 James Pond deserves his name…he surely is a ladies’ duck. Wow, great captures of hummingbird predation, Rick! Filming a hummer doing anything is difficult–how skilled of you to have observed and recorded this behavior. Fascinating fly, spider, & parasitic wasp pics and info, Tony. I’ve seen or at least seen pics of lots of strange spiders, but that whip spider really takes the cake. James is one handsome drake!